The State House in Augusta. A temporary increases to the sales and lodging taxes take effect statewide Tuesday, Oct. 1. AUGUSTA, Maine — Visitors and residents alike will see a small uptick in what they pay tableside and on some items at the cash register, as temporary increases to the sales and lodging taxes take effect statewide Tuesday. The increase, which will be seen in the bills at shops, restaurants and hotels, is an effort to offset some of the spending cuts originally proposed by Gov. Paul LePage. The sales tax on Oct. 1 will climb by half a penny on the dollar, from 5 cents to 5.5 cents. That rate is comparable regionally, with Massachusetts assessing a sales tax of 6.25 percent and 6 percent in Vermont, with the option for some municipalities to charge more. New Hampshire has no sales tax. The meals and lodging tax, assessed on restaurant and hotel sales, increased by one penny on the dollar, from 7 cents to 8 cents. Vermont and New Hampshire’s meal and lodging tax is 9 percent. In Massachusetts, the tax on meals is 6.25 percent and lodging 5.7 percent, though cities may choose to assess more. The $178 million in state revenue expected to be generated by the tax increases, which will expire in June 2015, allowed lawmakers to restore $125 million of the $200 million suspension of municipal revenue sharing proposed by LePage and give raises to state employees who haven’t seen pay bumps in more than four years. But how hard will the tax hike hit consumers? Here are some examples of the new taxes at work. Remember, items such as food-based groceries or movie tickets will continue to be tax-exempt. — A $50 restaurant bill will be taxed $4 instead of $3.50. — A $100 spending spree on taxable goods, say, new clothes, will be taxed $5.50 instead of $5. — A $299 stay at a hotel would be taxed $23.92 instead of $20.93. On Monday, LePage said the increases would be bad for many Mainers. “Retired mill workers living on fixed incomes, elderly widows collecting Social Security and our veterans, who receive nothing more than their military pension — each of them care very much about this tax increase,” LePage said in a prepared statement. “We are already one of the highest taxed states in the nation. We have some of the lowest per capita income in the country. Now is not the time to ask Mainers to give more of their income to fund government,” he said. Rep. Jeff McCabe, D-Skowhegan, the assistant House majority leader, said the tax increases were a needed temporary measure to prevent a worse fate. The money LePage sought to cut from revenue sharing would have increased property taxes for Maine homeowners as municipalities sought to bridge the gap and continue funding local services, he said. It’s better to raise taxes in areas paid for by tourists, he said. 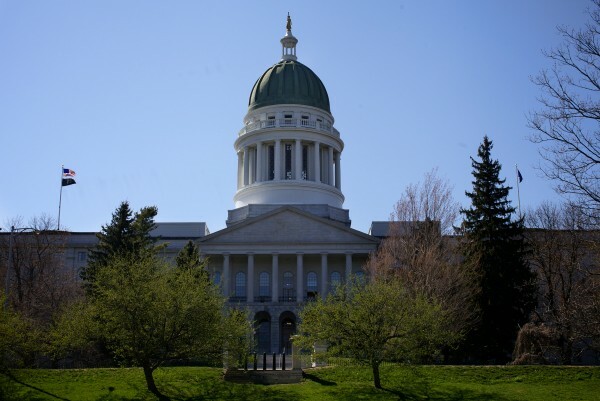 Citing figures from the Maine Center for Economic Policy, Democrats said the average Mainer would have paid an additional $645 per year in property taxes under LePage’s budget. “Most Mainers would rather pay an extra 50 cents on a night out at dinner than pay hundreds more in property taxes,” said Senate President Justin Alfond, D-Portland, in a prepared statement. Changes to the sales, lodging and meals taxes are among the most major shifts in Maine’s tax policy this year. Another change taking place Tuesday: A long-held exemption on periodicals will be discontinued, meaning the 5.5 percent sales tax will now apply to newspapers, magazines and other regular publications, such as Uncle Henry’s.